The bill remained inactive in the fall and has yet to be re-introduced since January 9, 2019 when the New York State legislative session began with a now Democratic-led majority. In addition, it does not appear expanding public health insurance to cover medical marijuana is part of Governor Cuomo’s first 100 days plan for implementing the most progressive agenda New York State has ever seen. Even if the issue does not have the attention of Governor Cuomo, it is worth noting the bill may have bipartisan support. In October 2018, the then Republican-led Senate Task Force on Heroin and Opioid Addiction recommended “expanding health insurance coverage options for medical marijuana as a method to reduce overall usage of opioid medications.” Therefore, the bill may have some origins and support from the right. While it is too early to tell if or when this bill will move through the legislative process (if ever reintroduced), what also remains unclear is how the bill will be implemented or what purpose it serves. Under federal law, marijuana is still a Schedule I drug, similar to heroin. 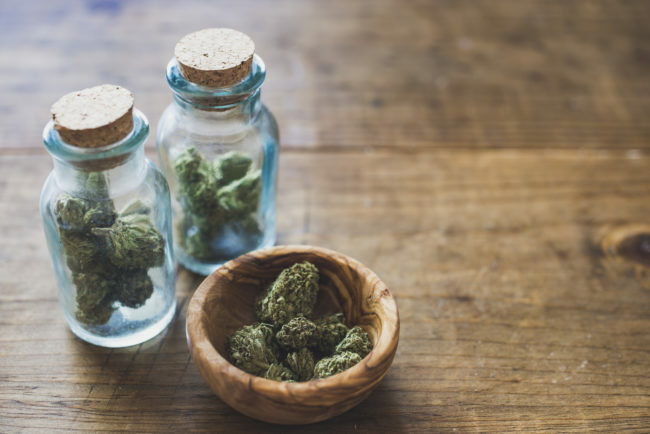 Therefore, federally funded programs, such as Medicaid and CHIP, cannot cover medical marijuana due to the drug having no currently accepted medical use under federal law. For state public health insurance plans, such as workers’ compensation, it is unclear what issue the bill is addressing. The Compassionate Care Act, as enacted under Section 3368(2) of N.Y. Public Health Law, clearly states that the medical marijuana program will not be construed to “require an insurer or health plan under . . . [N.Y. Insurance Law] to provide coverage for medical marijuana.” Returning readers may recall from a prior post that in June 2018, the New York Workers’ Compensation Board — with questionable reasoning and authority — directed a carrier to reimburse a claimant for medical marijuana expenses despite the statute’s clear language. However, if the Board’s interpretation was correct, then why do the original sponsors of the Compassionate Care Act feel the need to now sponsor new legislation that carves out an exception for workers’ compensation insurance plans? The only reason for amending legislation is to change existing law. This legislative action shows the Board’s interpretation of Section 3368(2) may not be consistent with the plain meaning intended by the original sponsors: no insurance or health plan licensed in New York State — including workers’ compensation insurance — is to provide coverage for medical marijuana. As the legislature (and likely the courts) sort out whether a workers’ compensation carrier is responsible for reimbursement, our office will continue to monitor the progress of this and similar legislation. In the meantime, if you receive an MG-2 or C-4AUTH requesting authorization for medical marijuana, please feel free to reach out to determine the potential defenses and mechanisms for reimbursement in order to protect your interests.